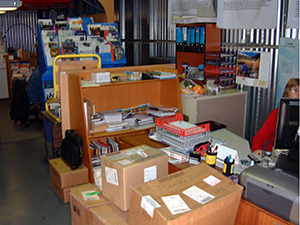 Workstore NZ LtdWorkstore NZ Ltd - Workstore has been providing safe and secure storage and workshop facilities to our community since 1995, with a wide range of units available with 24/7 access we are sure to have something that suits your needs. Large and Mini Storage with Drive Up Roller Doors"
Dry & Secure with Multiple Entries"
"Whether you require space to work from or storage for your gear, we have a wide range of sizes to choose from.Our Aim is to provide a quality of service and a very secure facility that we would be happy to use ourselves. We are available throughout the week at our East Tamaki branch and invite your inspection. We are more than happy to show you around and discuss your requirements." We offer a minimum 1 month fixed term with competitive rates. We are conveniently located in East Tamaki, only 5 minutes from Botany Town Centre & State Highway 1 and we also have. With no admin fee and a straight forward sign up to get into a unit or workshop, we like to keep it.